Montego Bay is a tourist mecca that is located on the north coast of Jamaica. It is also the island’s second largest city and is commonly referred to as the tourist capital. The city is also home to Sangster’s International Airport, the major hub of tourist arrivals. Montego Bay is also known as the friendly city, as the residents are warm and welcoming. There are a host of tourist attractions in Montego Bay and there is never a dull moment regardless of the time of day. 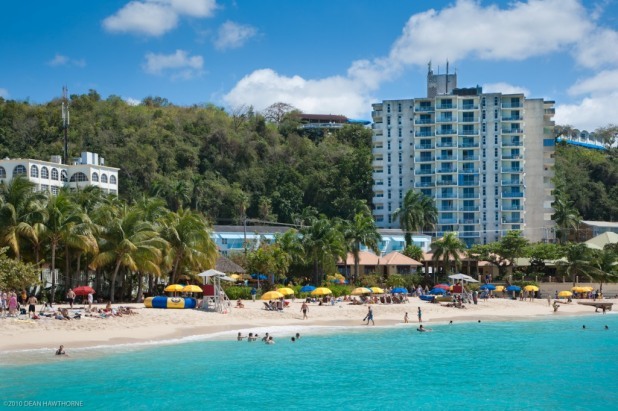 The Hip Strip is one of the most popular places in Montego Bay and is a magnet for tourists. This is a street about a mile long that is populated with souvenir shops, restaurants, bars and nightclubs. Many of the great hang-out spots are located on this strip. 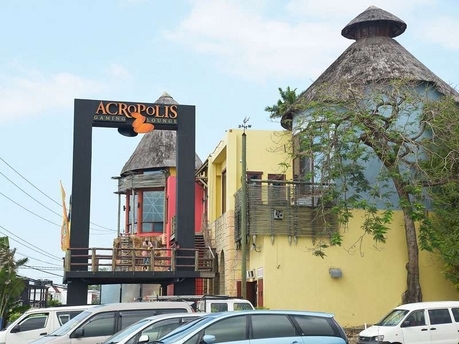 Acropolis a mega entertainment Centre located on the hip strip. The entertainment center features a casino, gaming lounge, restaurant and two bars. Acropolis also hosts lively entertainment in the form of cabaret, latin, jazz, and reggae music. They also have theme nights including, Karaoke nights, Jam-Asian Nights, Seafood Night and Native Night. Also located on the hip strip, this is an Irish Pub that does everything Irish but with a twist. The female staff at this pub wear Kilts instead of the males. The Twisted Kilt offers great pub-style food and exceptional service to their patrons. There are many big- screen TVs available at this pub and it is often flocked by sports lovers. If you want a total entertainment package, this is the place to hang out. 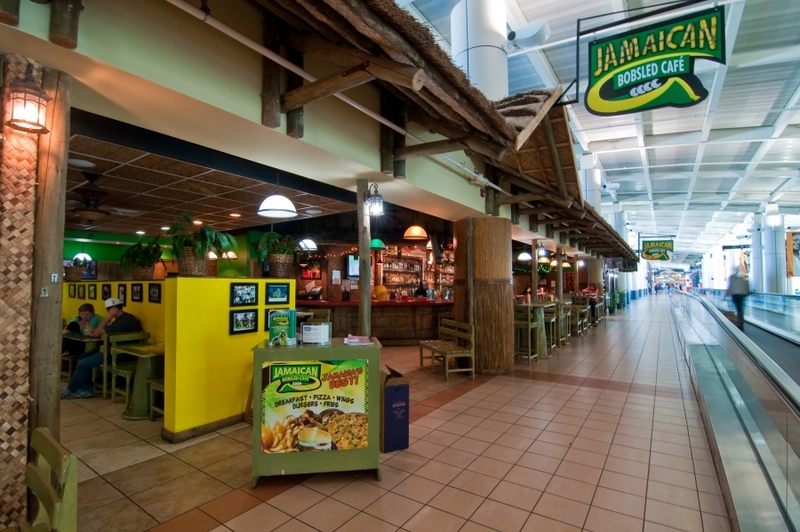 Jimmy’s Buffets Margaritaville features a restaurant, bar, water sports events and lively entertainment. The entertainment complex host theme nights throughout the week such as, All White Party Night, All You Can Drink Night, TGI Fridays and Therapy Sundays. Doctor’s Bathing Club is formerly known as the Doctors Cave Beach. It is located in the centre of the hip strip and is one of the most popular beaches on the island. British Osteopath, Sir Herbert Barker visited the beach in the 1920’s and published an article declaring that the beach has curative powers, as he was healed after bathing there. 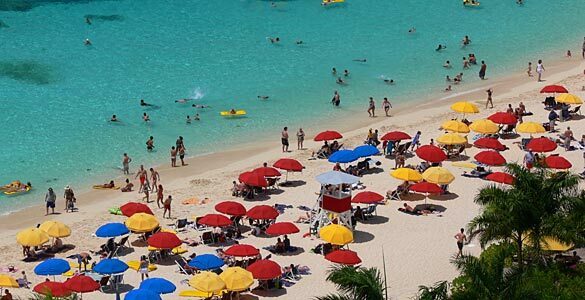 This beach is a popular spot for tourists and is renowned for its pristine sand and crystal clear waters. A photo of this beach is located on the back of the Jamaican $50 note. The Jamaican Bob Sled Cafe is a restaurant and bar named after the Jamaican Bobsled team that went to the Winter Olympics in 1988. It is located on the hip strip directly across from the Doctor’s Bathing Club. The cafe has a rich ambiance and is a popular hang-out for locals and tourists alike. You need a passport to travel to Jamaica. If your British passport has expired or you do not own one, you should make an application to the UK Passport Service before making any travel plans. It usually takes 3 weeks to get your passport. So make an application well ahead of the time you plan to travel.